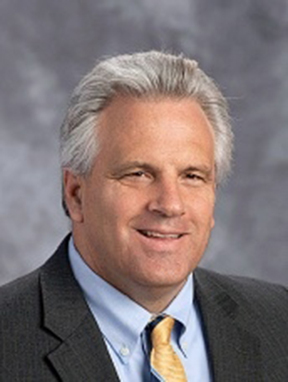 Kevin Bals, principal of High Technology High School in Middleton, N.J., will deliver the Distinguished Lecture at Mercer County Community College on Dec. 7. WEST WINDSOR – Do you feel overwhelmed by the accelerating use of technology – from phones, to cars, to household appliances? Kevin Bals, principal of High Technology High School (HTHS), will put it all in perspective during a lecture at Mercer County Community College. Bals will deliver his lecture “Making the Complex Simple: Learning to Lead in a Technical World” as part of MCCC’s Distinguished Lecture Series at noon on Wednesday, Dec. 7, in room 109 of the Communications Building on the West Windsor Campus, 1200 Old Trenton Road. The lecture is free and open to the public. With the advent of artificial intelligence, virtual reality, and machine learning, the pace of technology integration in our daily lives will accelerate in the years ahead, and while technology often promises to simplify our lives, it can also make them more complex. As principal at HTHS in Middleton, N.J. – the number one science, technology, engineering, and mathematics (STEM) school in the nation – Bals discuss the role STEM plays in our current educational landscape, and will explore the role a well-trained teacher plays in making the complex more palatable to students. Bals has been an educator for more than 30 years, teaching mathematics, computer science, and computer applications to high school students. He has served in various school districts as technology coordinator, mathematics department supervisor, and as an assistant principal. Bals earned a bachelor’s degree in Mathematics from The King’s College, and a Master of Arts in Educational Leadership from Fairleigh Dickinson University.